Firstly, apologies. I started writing this yesterday but it got a bit long winded (as posts often do when I don’t know what to write and go off on a tangent) so it’s up a little late. It’s probably the most personal post I’ve ever written and perhaps will ever write. 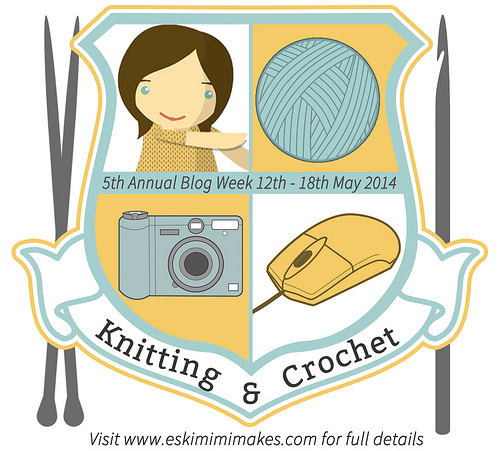 It’s the penultimate day of Knitting and Crochet Blog Week 2014 (wow, that went fast)! 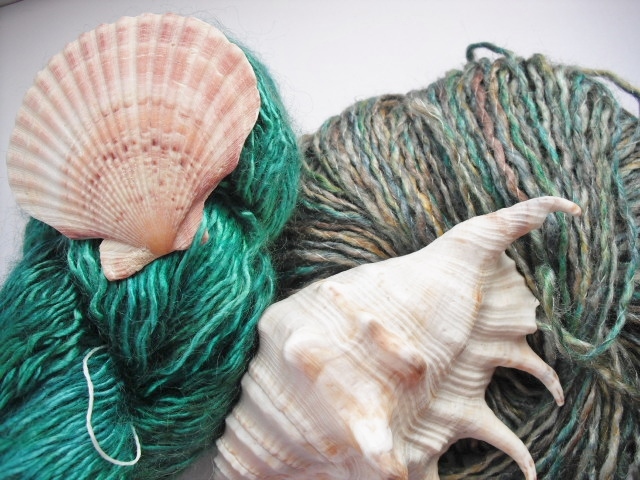 Today’s task is to write about a knitter or crocheter that you admire. But, because I’m contrary I’m going to bend the rules again, just a little bit. You see, as I only started knitting properly when I was 20 and I taught myself, so not only have I spent much more of my life not knitting than knitting (although I find it impossible to imagine not being a knitter now), but I don’t really have anyone that I can say taught me anything in particular about knitting itself. Books were my teachers! So instead I’m going to write about people who inspired me to craft in general, because they are all special. I suppose the first thing that made me fascinated with making things as a child was going to playgroup (pre-school) and messing about with paint. We used to do string painting, where you put pieces of string in paint and sandwiched them in a folded piece of paper to make a pattern. I had an easel at home too with a blackboard on one side and a place to hold paper on the other. There are pictures of me in the back garden wearing one of my Dad’s old shirts and grinning while painting at said easel. So it’s fair to say I enjoyed crafty things from a pretty young age. 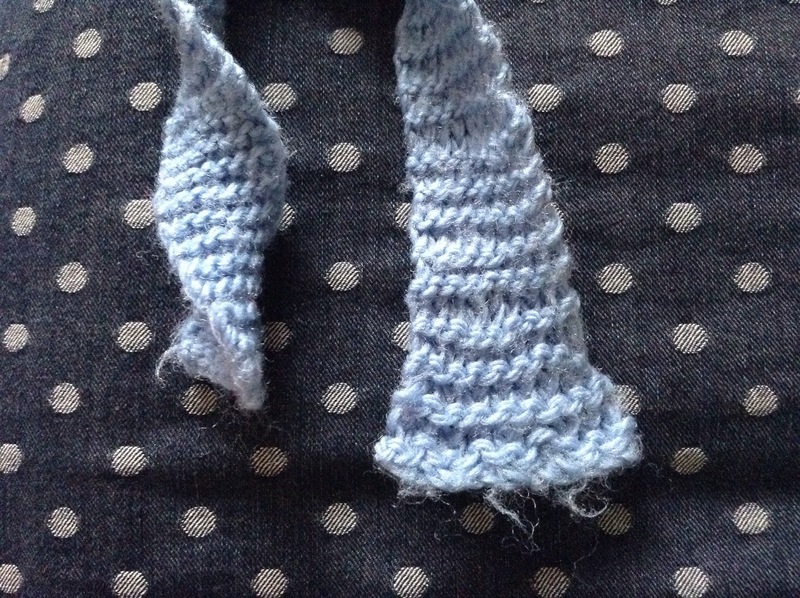 My first memories of knitting are not of the process, but of the finished product. My Mum used to knit (although by the time I learnt to knit she hadn’t knitted for some years) and when I was about three she knitted me a rabbit for Easter, which become my favourite cuddly toy. It had it’s own dress and shoes and I can remember frequently pestering her for a set of clothes for it in another colour! But I don’t remember seeing my Mum knitting as she tended to knit things for me in secret so it would be a surprise. When I was in the Brownies (a part of the Girl Guides for girls from about 7 to 11 years old) she knitted me a Brownie from a Jean Greenhowe pattern which even included a tiny replica of the badge for my group within the brownies (a green pixie). Despite all this, she will tell you that she is not creative! My Grandma can knit too, but like my Mum, she doesn’t knit anymore. She once told me that as a girl she used to knit gloves and found it so tedious that each finger she knitted would get progressively shorter, because she was so desperate to finish! I suppose that when knitting is a necessity it loses some of it’s charm. 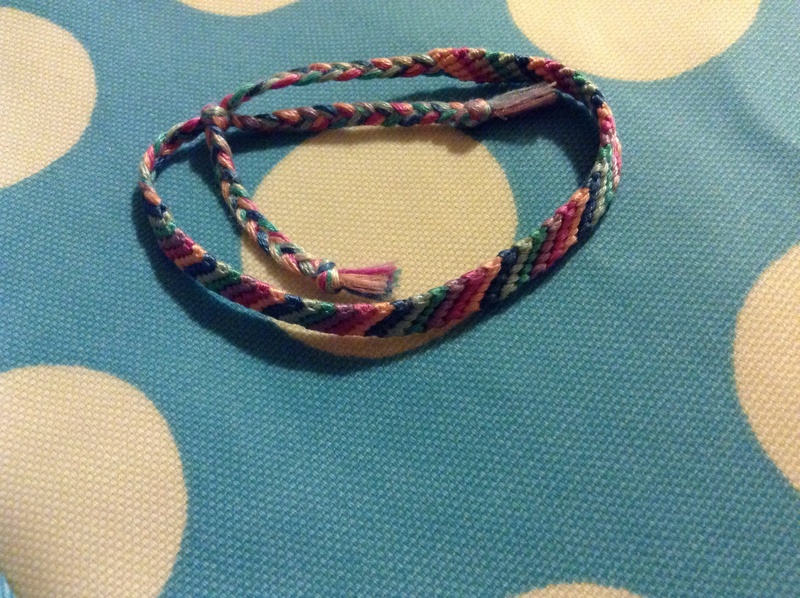 My first experience of fibre related crafts, like many girls, was making friendship bracelets. My friend Jenny used to make them using embroidery threads in bright colours and I wanted to make some too, so when I was about 10 years old I bought a little book (which I still have) with instructions for making several designs which came with a little kit with five differently coloured threads. I can still make a simple one in about half an hour! Later I also learnt macramé from a wonderful teacher at primary school called Miss Moores who taught an after school art class, something that I really enjoyed. By the time I was 14 I’d learnt to make earrings as well as friendship bracelets and I used to sell them to the other girls at school. I would save up my pocket money to buy beads and jewellery findings and then spend the money I made on more (perhaps not the best business model!). I really enjoyed making things, both the process and the finished items. Crafts took a back seat when I went to University (to do something serious and not at all creative) although I did still make jewellery occasionally. Then, when I was home in the holidays during my second year I found an old knitting kit with dreadful instructions, which I had been given some years before. I had tried to knit before from this kit as a child but had been defeated by it. I found a knitting book of my Mum’s and after she’d helped me fix a few mistakes, I started knitting a tiny 10 stitch wide strip of garter stitch. I remember thinking that 10 stitches was an awful lot and each row seemed to take forever (of course this seems utterly ridiculous now). I took the kit back with me to Uni and kept knitting until all the yarn was used. 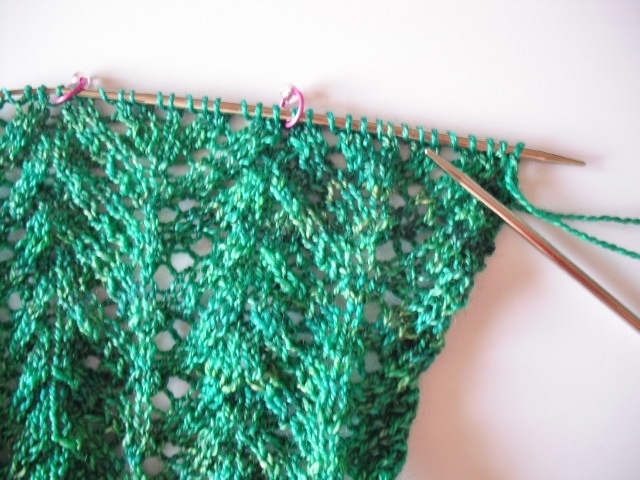 When I’d finished I had a pathetic, inch wide strip of knitting that was very loose at the cast on end and extremely tight at the other (no wonder the rows seemed to take so long), with all the stitches knitted through the back of the loop. A couple of months later I got Glandular Fever and became very poorly (partly because without a diagnosis I couldn’t give a proper reason for any absences, so being a committed swot I just tried to keep going). By the time I had a diagnosis I had made myself much worse and I had no choice but to go home to recover. Although I didn’t know it at the time, I wouldn’t end up going back to Uni. By the time term was due to start I wasn’t even close to being well enough to go back and eventually when it became clear that my recovery would not be quick I had to give up my course. A few months after I became ill one of our neighbours noticed some earrings my Mum was wearing, which I had made for her and suggested I might like to sell them at the local Country Market (formerly W.I. – Women’s Institute – Market) which met one morning every week. 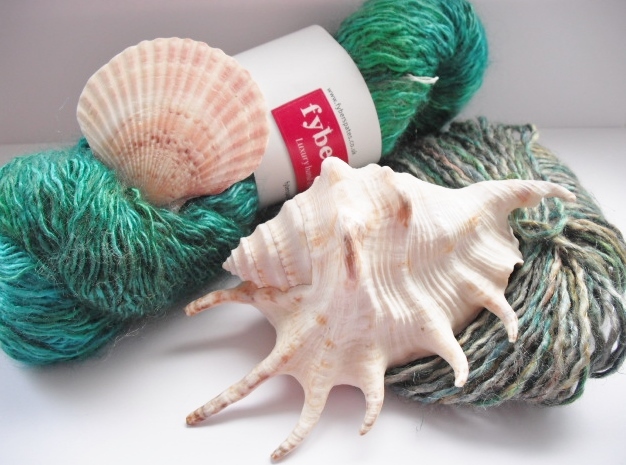 With trepidation I went along and it was there that my interest in knitting was re-ignited. Some of the ladies there were very experienced knitters and I was fascinated by the things they could make, some more traditional and some much more modern. One week one of the ladies brought along a pair of purple elbow length fingerless mittens with ribbon lacing. I thought these were amazing and resolved to buy them if they were left a closing time. They weren’t. So I decided I would have to learn to knit so I could make some myself (I never did make the gloves, but I did buy a pair from her later). I got a book out of the library and started learning again (I had to start from scratch as I’d forgotten how to knit). I made a few awful things from squeaky DK acrylic that I bought from the local hardware shop (!) and then I bought a book called The Knitter’s Bible by Claire Crompton and learnt everything in it. 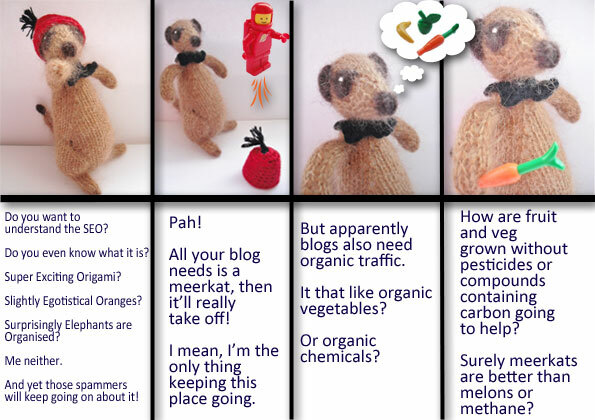 It was a slow process as going to the market took a lot of my energy at the time. Two and a half years after first becoming ill I still wasn’t well and was diagnosed with M.E./C.F.S. which is common after Glandular Fever. 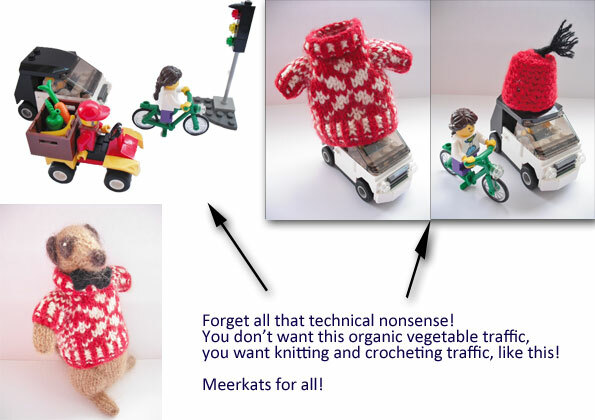 But I was hooked on knitting and had started designing my own patterns because I couldn’t find any that I liked. Three and a half years after becoming ill I finally felt well enough (although not better) to be able to get a job. I applied for a job at Stash Fine Yarns and took all the things I’d designed with me to prove that I knew what I was talking about. There I met Helen and Steve, who would become my bosses. Helen had suffered very poor health herself and kindly agreed to give me a chance. She was interested in the things I’d designed (including a dress that had won me first prize in a competition in Knitting Magazine, but was at the time, yet to be published) and six months in to my new job she put me in touch with Jenny at Artesano and started my design career, something that I never expected. I’ve been at Stash nearly four and half years now, and I will always be indebted to them for giving me that chance. Sadly Helen passed away earlier this year, but I will never forget her influence. She was always much more ambitious for me than I was for myself and certainly made me try to aim for bigger and better things than I believed I was capable of. I hope I did her proud. It’s now almost exactly eight years since I became ill at the age of 19 and I still have to be careful with my health, but knitting has given me a second chance and I think I’m happier now than I would have been if my life had gone the way I originally planned. I am by no means well, but I have come a long way and I am lucky and grateful that I am well enough and have been given the opportunity to do this. There is huge variation in the severity of M.E./C.F.S. and many others are not so lucky. I’ve enjoyed reading your posts from Saturday. If you’ve stuck with this post to the end, thank you.